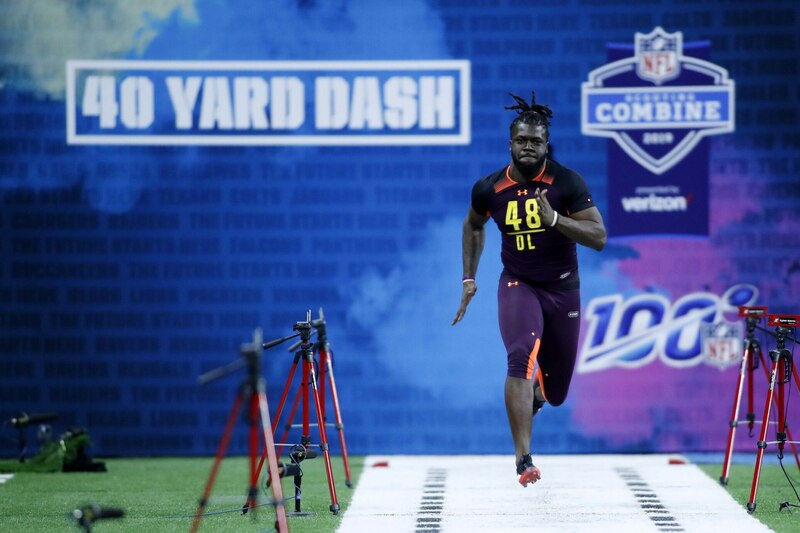 Florida pass rusher Jachai Polite was one of the biggest losers of any player who attended the combine a few weeks back, and his pro day was no better. Polite ran the second-worst 40 time of any EDGE prospect at the combine, jumped just 32 inches in the vertical then skipped the remainder of the workouts claiming an injury that teams reportedly didn’t exactly buy. He also came across as very immature discussing interviews he had with teams and left Indy with his stock tanking. On Wednesday at Florida’s pro day, things only got worse. For starters, Polite appeared to be extremely out of shape. Polite ran just one 40-yard dash (with a poor time) at the pro day before pulling up lame and putting a wrap around his right leg. #Gators DE Jachai Polite pulled up hurt after a poor first 40 at Pro Day. Barely cracked 5 seconds. Now has ice taped to his right quad. Probably done for the day. This appears to be a death knell for Polite’s draft stock. Already tanking badly, he has only hurt himself further by showing up in poor conditioning and failing to complete yet another workout for pro scouts, coaches and personnel executives. A player who many thought could be a late first-round pick before the combine, Polite now appears to be a Day 3 pick, at best.